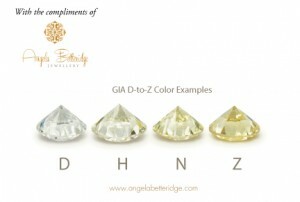 How can you take your diamond education to the next level? Would you like to learn more about the 4 Cs of Diamonds? 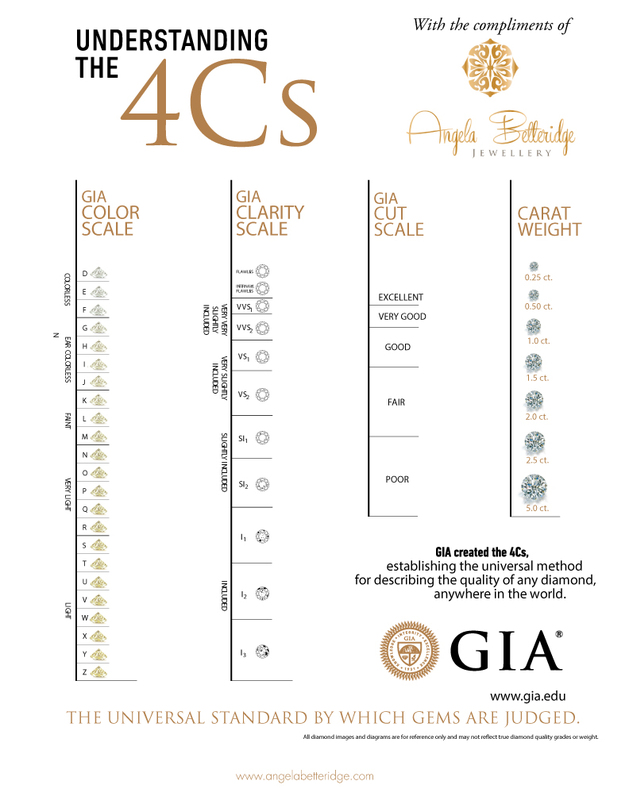 Download this free brochure about the GIA 4Cs: Carat Weight, Colour, Clarity and Cut and how these factors combine to provide a way to objectively compare and evaluate diamonds. Numbers alone can’t describe a diamond’s mysterious and captivating beauty – for that, you’ll have to visit me and see one for yourself. 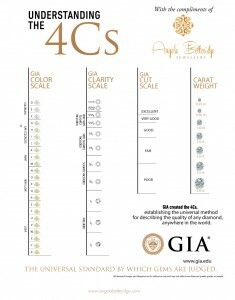 Take a look at the charts below to see the GIA’s scales for the Four Cs of Diamonds.